Sandeep and Richa Kumar have just bought their first home. They’ve had a remarkable change of fortune since taking a big leap of faith and relocating to the South Island from Auckland. After moving to rural Mid Canterbury and investing in a CrestClean franchise, life has never been better for Sandeep and Richa Kumar. Now, two years on, the couple have reached a personal milestone by buying their first home, something that would have been impossible if they’d remained in Auckland, says Sandeep. Like many other Auckland couples, they had been chasing a dream that one day they’d be able to afford a place of their own. But skyrocketing Auckland property prices, coupled with increasing living costs, meant the odds were stacked against them. And then there was also the underlying stress factor of battling the Auckland traffic to get to work. The 4am starts and the hours stuck on gridlocked roads added extra headache to their busy day. But moving to Methven, a tiny settlement with a population of just 1,780, was a breath of fresh air for Sandeep and Richa. They couldn’t believe how quiet the roads are. Getting to their first CrestClean customer In Methven was just a two minute drive. Over the past two years they’ve grown their CrestClean franchise by taking on more customers. 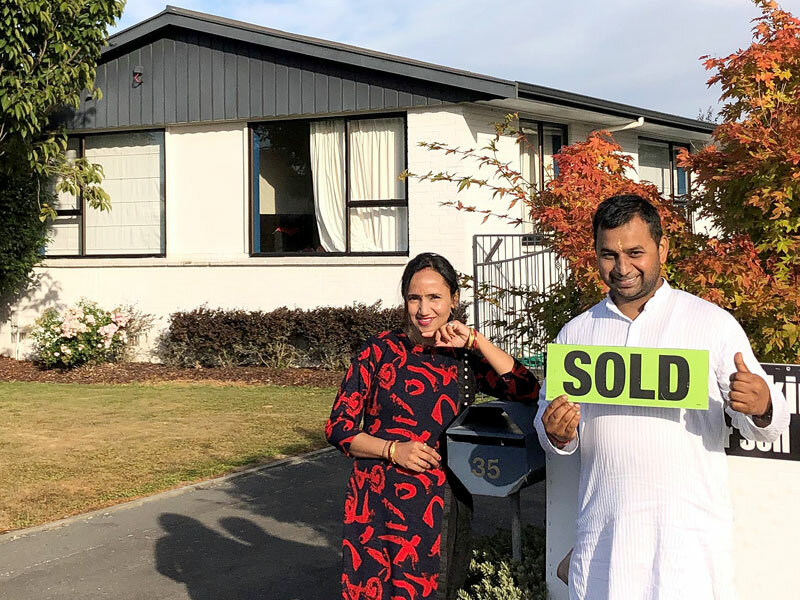 The extra income has enabled Sandeep and Richa to buy a spacious 1970s three bedroom property in Ashburton. Sandeep says they were amazed how affordable properties are in the South Island compared with Auckland. They are delighted with their 200sq m home in Ashburton, which has been extensively renovated. “It’s in a very nice suburb and the house is on quite a big section. “It would cost us about $1 million in Auckland for the same size house and section. We planned to buy a house within three years of moving here but we’ve been able to make it happen well before that,” he says. Rob Glenie, CrestClean’s South Canterbury Regional Manager, says he’s been proud to see the couple excel in their business and personal lives. “I’ve watched them grow from a nervous couple arriving in the region from the big city. Sandeep and Richa moved south as part of CrestClean’s Move to the Regions Programme. Canterbury is one of the areas included in the scheme. The programme pays up to $3,000 relocation costs to help families settle to areas where CrestClean needs personnel.